1. The incircle and its properties. 2. An excircle and its properties. 3. 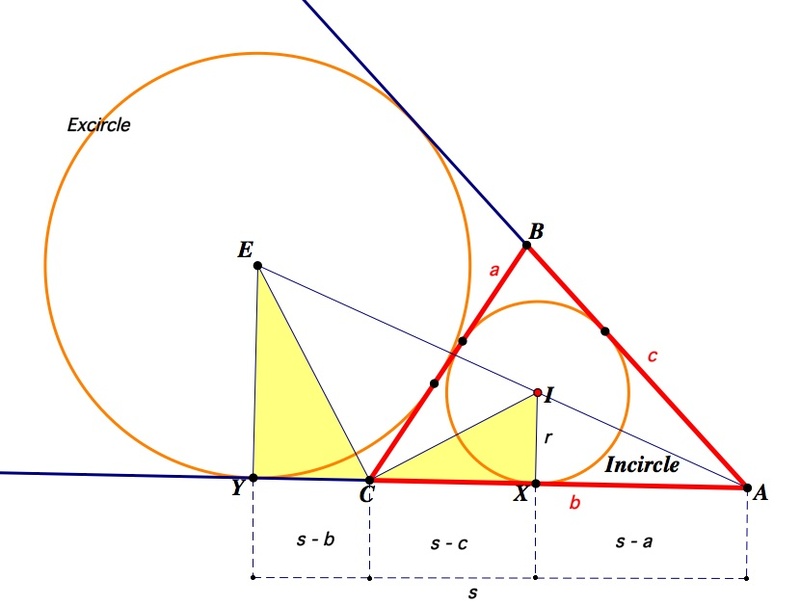 The area of the triangles is rs, where r is the inradius and s the semiperimeter. 4. 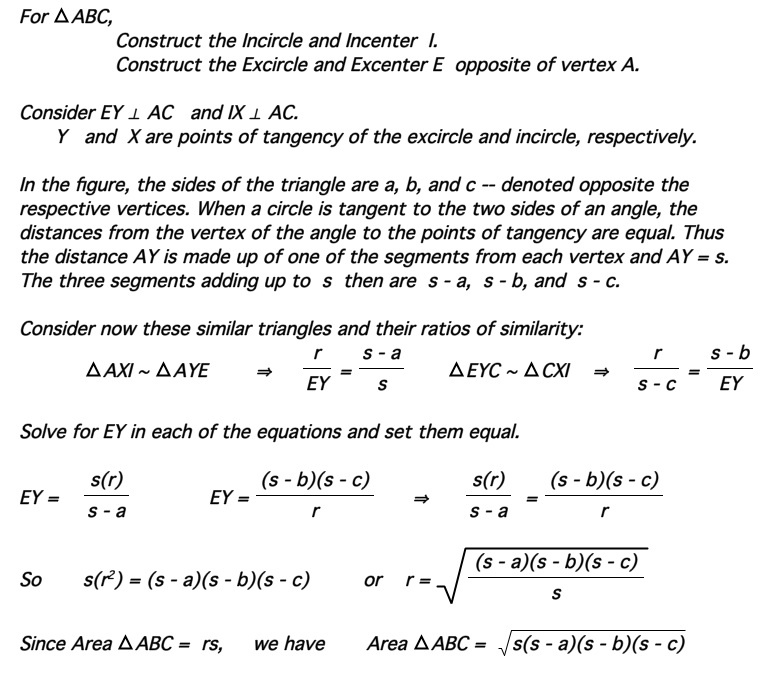 The points of tangency of a circle inscribed in an angle are equidistant from the vertex.